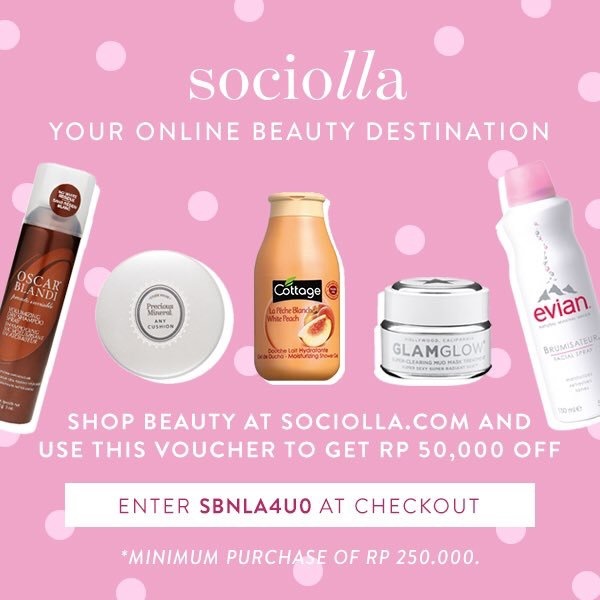 Holla ladies~ here comes my first mini beauty haul for this September Ceria.. Mulai dari Hand & Body lotion, Body mist, softlens, lipstick, body scrub, masker, BB Cream, liptint, concealer, sampai body scrub dan sample kosmetik ada.. 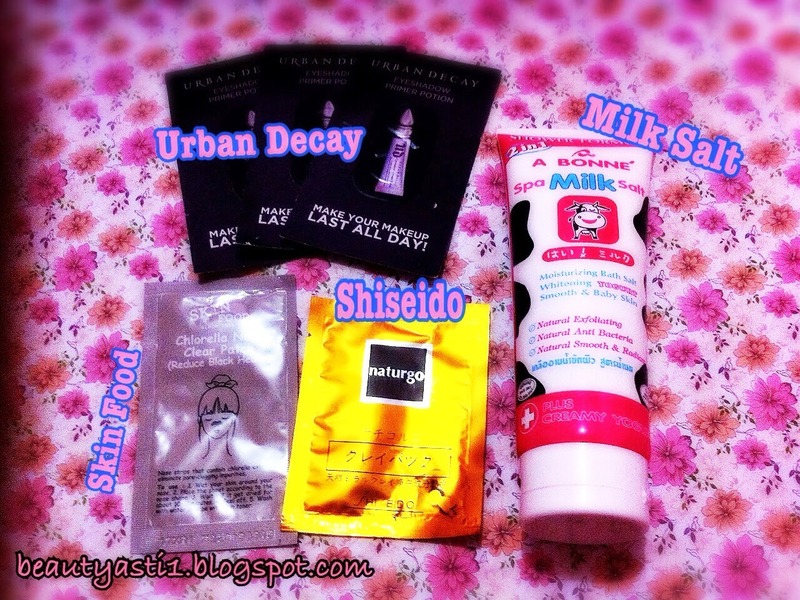 These beauty products hopefully can be useful for me ^_^ okay now, let's see what are they..
1. VICTORIA'S SECRET FRAGRANCE MIST. I didn't buy this cute package, my hubby bought this for me when he was in New York. Thanks my hubby..
2. VICTORIA'S SECRET BODY LOTION. Seneng deh sama wangi nya, bau nya haruuum..
3. EYES. I bought two NEW LOOK softlens at Optik Melawai and the BLINK eye drops. The Yellow box is NEW LOOK - Wonder Brown. And the green one is NEW LOOK - Charm Blue. Price IDR 80.000 per each. 4. FACE. I got ZA TRUE WHITE - Instant brightener from Centro Plaza Semanggi, with adorable price IDR 115.000. And in the middle is SKIN FOOD RICE CONCEALER - 21 light, the price is IDR 154.500, Kota Kasablanka. And now I wanna try BB CREAM from MAZAYA cosmetic, which is a new brand cosmetic from Indonesia, and the price is so adorable, about IDR 33.000 find it at WATSON Kota Kasablanka. 5. LIPS. This FOREST SECRET - Pearlish Brown is also a new brand from Indonesia that you can find it at WATSON store Mal Kota Kasablanka. Price is only IDR 35.000. I also bought a liptint from SKIN FOOD - TOMATO SMOOTHIE at Kota Kasablanka, price IDR 136.500. 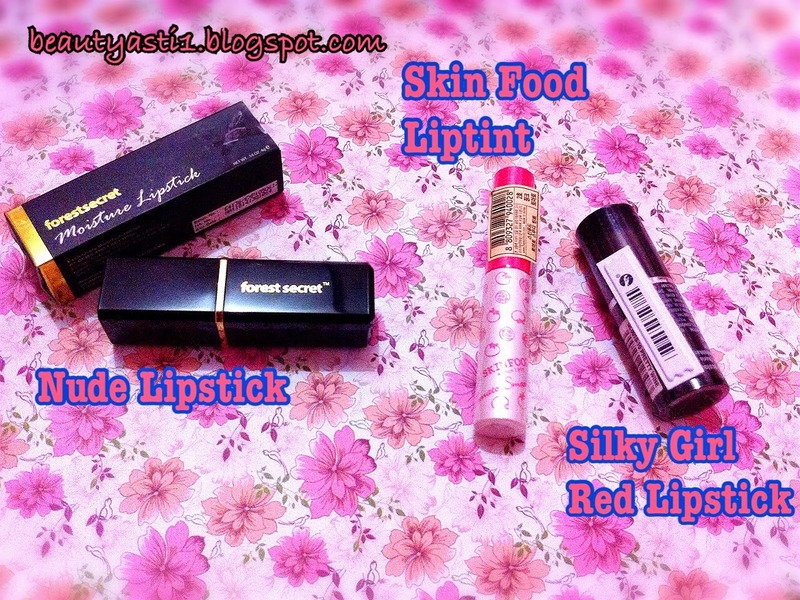 And the last I got SILKY GIRL lipstick and the price is about IDR 26.000 something..
6. SAMPLES. I Got my URBAN DECAY eyeshadow primer potion samples when I ordered my Cathy Doll liptint on Mslie's website and it costs cheap (cheaper than the real size LOL). but this Chlorella Nose from SKIN FOOD costs IDR 17.000 only to reduce black heads for once use. Yes! That's a wrap for my mini haul for September Ceria. I hope you like it, or may be you also use one of them in your daily beauty..
What do you think about my first mini haul?? Which product do you want me to review it first? 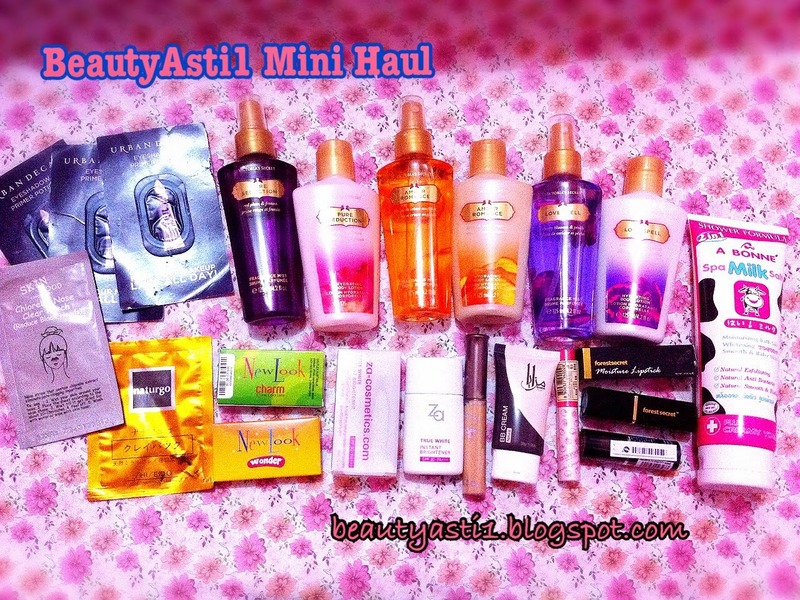 19 comments on "BeautyAsti1 MINI BEAUTY HAUL SEPTEMBER 2014"
Did the VS scents your husband bought for you work in terms of the promised seduction, romance and spell? :-) Now I have an idea what VS scents I would buy for my wife. Victoria's secret is really a great brand for ladies. You have a nice haul. the blink eyedrop is good! i've used them before! 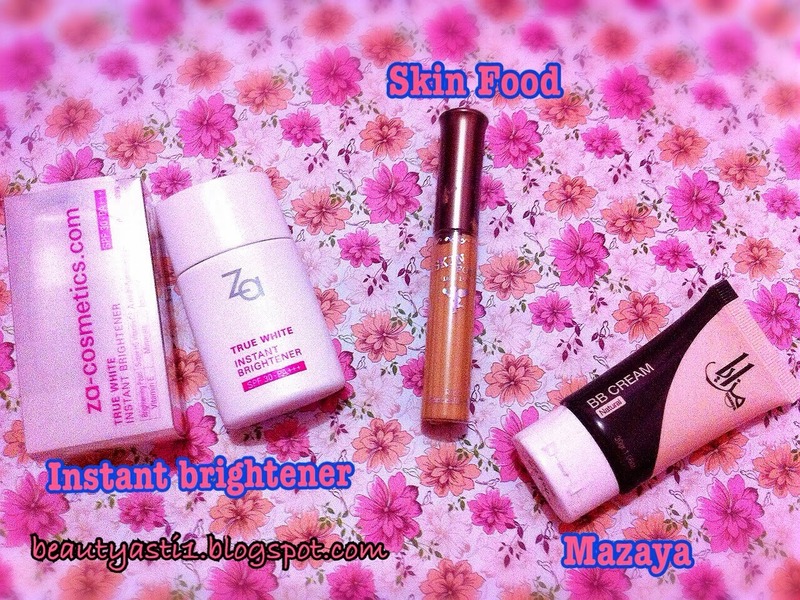 and please do a review on the ZA brightener! Thanks for sharing. 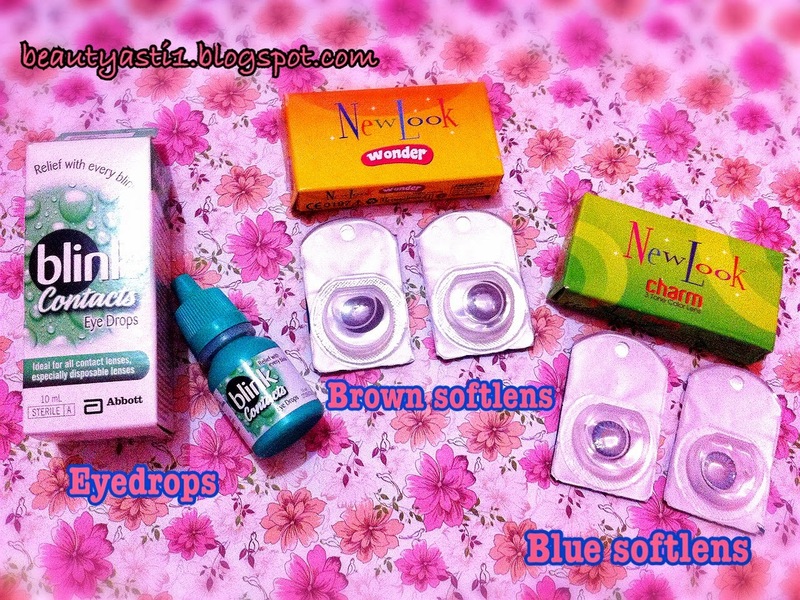 For contact lens, I only wear Freshkon, never try other brand. I do love VS scents and lotion,nice product review you've done here. 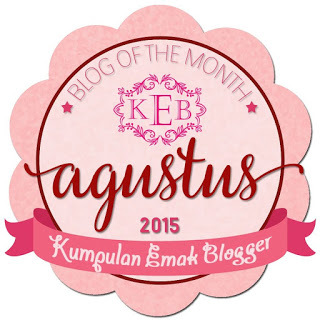 Wow, you've gotten many stuff for September! Are they all sample size products? I hope so or it will take you ages to finish using them! 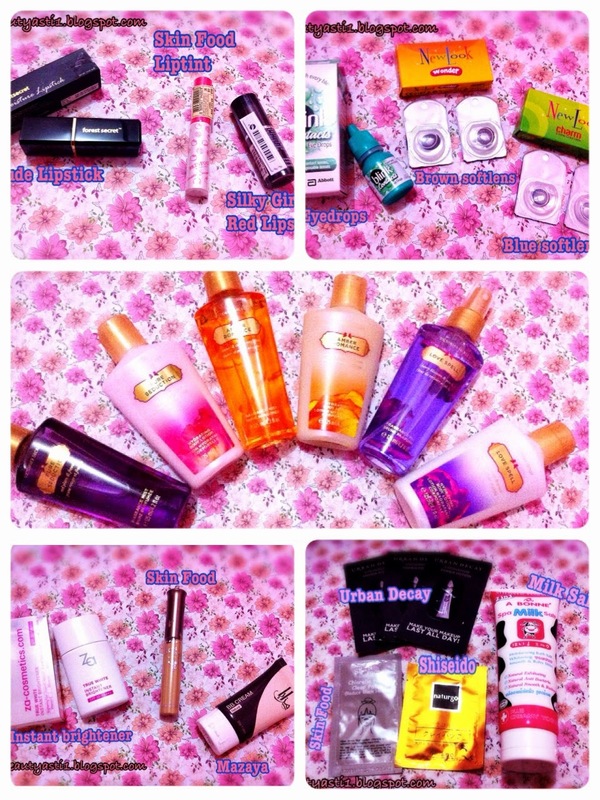 More beauty products for you to use. This is really a big haul for you. What a haul you've got and some at fantastic prices Asti. Great job in finding these and do post reviews on which you like the most and which ones worked for you. 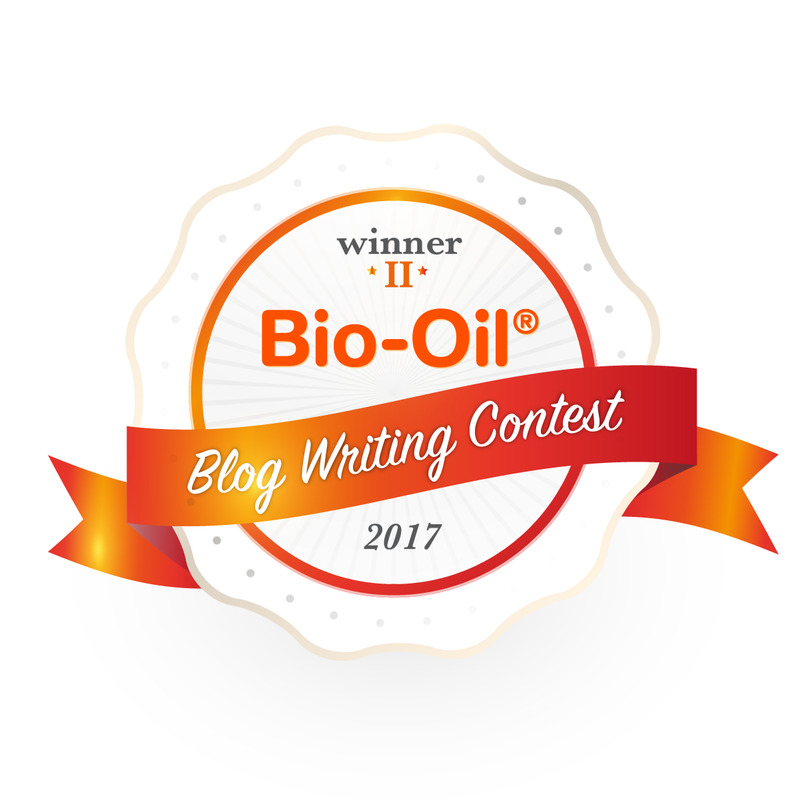 This looks amazing, I have a few friends would love your blog. I want the Victoria's Secret Body lotions especially the Amber Romance. Love the scent! I love ZA True White Brightener! 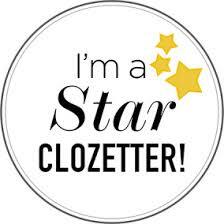 It works so great with my skin, tell me how it goes for you. So many beauty junkies! It's really cute in mini size!